Thiruchsemponsey or Perarulaalan Perumal Temple is dedicated to Hindu god Vishnu located in Thirunangur, a village in the outskirts of Sirkazhi in the South Indian state of Tamil Nadu. Constructed in the Dravidian style of architecture, the temple is glorified in the Divya Prabandha, the early medieval Tamil canon of the Azhwar saints from the 6th - 9th centuries AD. It is one of the 108 Divya desam dedicated to Vishnu, who is worshipped as Peralulalan and his consort Lakshmi as Allimalar Nachiyar. This is the temple for which Lord Himself raised the fund to build this temple. Lord blesses devotees facing east. 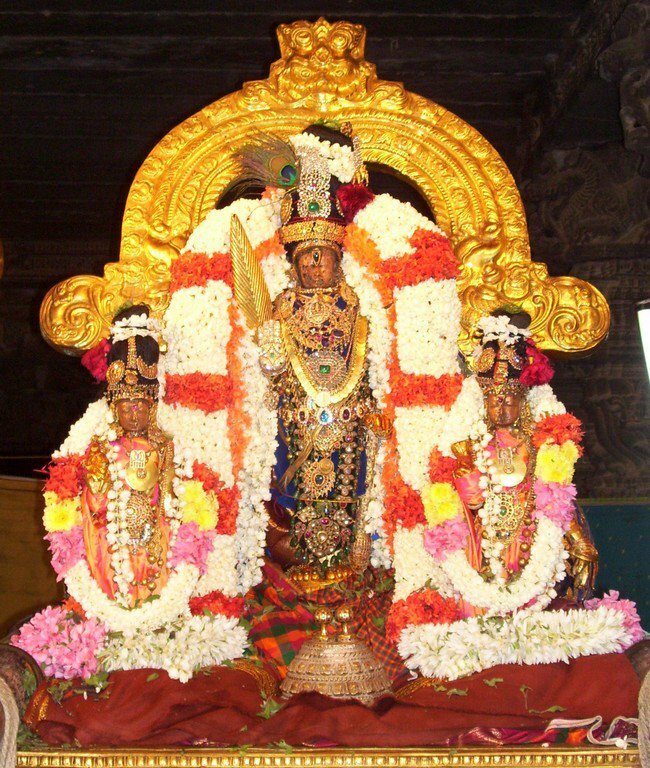 Perumal is praised by many names as Semponnarangar, Herambar and Perarulalan. 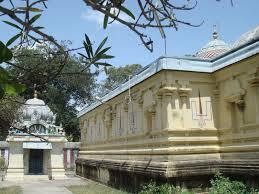 The Vimana above the sanctum is known as Kanaka Vimanam. He is Arulalan in His Paramapatha kingdom. As He is also with us for ever pouring his grace, He is called Perarulalan-All Merciful. Mother Alli Mamalar Nachiar is gracing the devotees along with Mother Bhoomadevi. Rama, the seventh avatar of Vishnu came to this place after killing Ravana. He made a golden idol of a cow and gifted to a Brahmin from the ashram of sage Dranethra, from where the place obtained its name. Thiru Semponsei Perarulaalan Divyadesam is the middle among the 11 Thirunangoor Divyadesams, located in Seerkazhi, Nagapattinam District.Devotees who worship the Perarulaalan here Thirusemponsei will be relieved of from their poverty and get blessed with good jobs and progress financially. Aipasi Brahmmotsavam is being celebrated in the months of October and November on the Swathi Nakshatra Day, the Birth Star of Perumal. On the day following Thai Amavasya, New Moon day in January / February, Perumal of this temple joins the 11 Garudaseva festival 11 Perumals coming in procession on Garuda. Dasavathara paintings on the walls of the temples are eye catching one and should not be missed out. 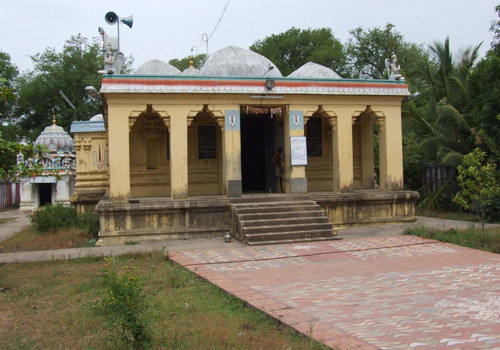 Lord Shiva performed Ekadasa AShwamedha Yaga here. Thiruvanparisaram - Sri Kuralappa P..
Thiruvanparisaram - Sri Kuralappa Perumal Temple,k..
Thirumayam Sri Sathya Murthy Peruma..
Thirumayam Sri Sathya Murthy Perumal temple, Puduk..